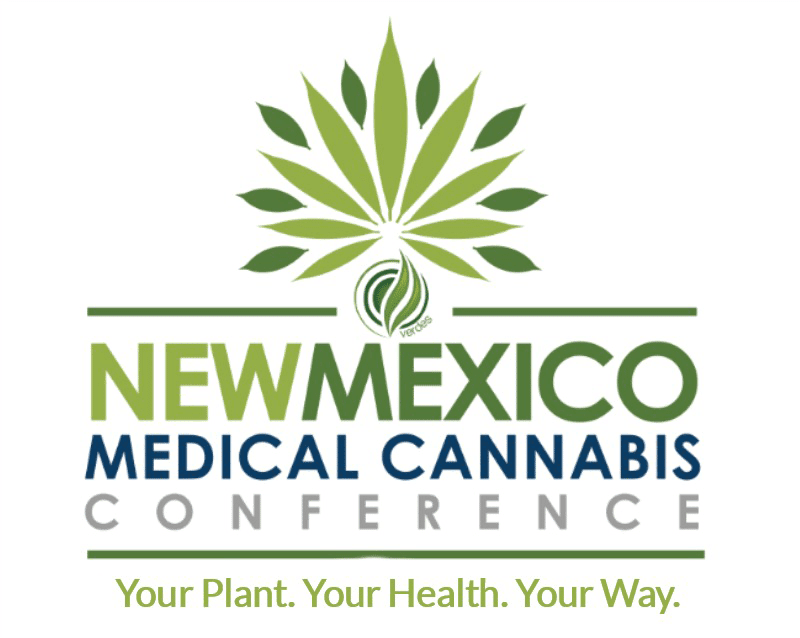 Today the New Mexico medical cannabis program has over 45,000 registered participants with 35 licensed (non-profit) producers growing 14,550 medical cannabis plants, as the program hits the midpoint of its 10th year. The Medical Cannabis Program (MCP) was created in 2007, as the Lynn and Erin Compassionate Use Act, under chapter 210 Senate Bill 523. The purpose of this Act is to allow the beneficial use of medical cannabis in a regulated system for alleviating symptoms caused by debilitating medical conditions and their medical treatments. The State’s Medical Cannabis Program expansion is now “Medically Necessary”; the State needs to allow the Department of Health to open the application process to add more licensed non-profit producers, in conjunction with other measures to ensure safe access to medicine. New Mexico’s medical cannabis history started in 1978. Lynn Pierson, a 26 year old cancer patient, brought the value of medical cannabis to the New Mexico legislature. After public hearings the legislature enacted H.B. 329, the nation’s first law recognizing the medical value of cannabis. Later renamed The Lynn Pierson Marijuana & Research Act set forth a program that had over 250 New Mexicans receiving medical cannabis through the University of New Mexico until 1986. Federal opposition and state bureaucratic opposition developed thus ending the program in 1986. Then in the early 2000’s, Erin Armstrong, a medical cannabis advocate who suffered from thyroid cancer, began to lobby the state legislature to pass a medical cannabis law. Armstrong, a Santa Fe High and UNM grad, spent three years tirelessly advocating for the medical cannabis program we have today. The Lynn and Erin Compassionate Use Act, 2007, passed under Governor Bill Richardson. Is the State out of Compliance with the MCP law, LECUA 2007? Yes. For August 2017, there are 14,550 medical cannabis plants being grown for 45,000 registered program participants and that Equals 0.32 Medical Cannabis Plants per Patient. This is alarming as it is less than one plant per person and only a third of a fully grown/harvested medical cannabis plant is usable plant material for medicine. In 2016 there was 13,800 medical cannabis plants being grown for 32,175 registered program participants that Equaled 0.42 Medical Cannabis Plants per Patient. In 2015 there was 9,350 medical cannabis plants being grown for 12,647 registered program participants that Equaled 0.73 Medical Cannabis Plants per Patient. This is a program issue that has gone on for multiple years now and continues to get worse. Creating a serious health concern for registered program participants in addition to the serious liable aspects the State of New Mexico is also in. The standards of care has been breached by the State of New Mexico with in the Medical Cannabis Program law; the purpose of the Lynn and Erin Compassionate Use Act is to allow the beneficial use of medical cannabis in a regulated system for alleviating symptoms caused by debilitating medical conditions and their medical treatments. We have a sound law in the Lynn and Erin Compassionate Use Act that is benefiting many New Mexicans, yet we are unable to provide “adequate supply” and it can not be properly defined by the Department by using unknown variables it has not collected then this leads to further examination of how these definitions pertaining to adequate supply were determined in the past years. Let’s continue to allow the medical cannabis program to benefit and save lives of more and more New Mexicans. The current plant count set at 450 plants allowed by each medical cannabis producers clearly cannot meet the demands of over 45,000 patients in the program. Complicating the matter further, not all the medical cannabis producers in the program are growing the allotted 450 plants. If all LNPPs were growing the 450 plants then there would be 15,750 plants available. New Mexico’s medical cannabis program saw a 75% increase in participants over the last year. The 2016/17 licensure list for the medical cannabis program shows a total of 13,800 medical cannabis plants licensed by the 35 producers for All registered program participants in the program. Removing CBD strains from medical cannabis plants counts in New Mexico and other state programs for patients, caregivers and medical cannabis producers allowable plant count just makes sense. A revision to allow for 450 THC plants and 450 CBD Strains with a 1:1 - CBD:THC ratio (allowing CBD ratio to go above one but keeping THC at 1 or less in the ratio of potency). A patent was already awarded to part of the federal government, the U.S. Health and Human Services in 2003 (US6630507) that covers the use of CBD as a treatment for various neurodegenerative and inflammatory disorders. Representatives Deborah A. Armstrong and Bill McCamley sponsored a Medical Cannabis Research bill, HB 155 in the 2017 Regular Legislative session. A research assessment of physical and pharmacokinetic relationships in cannabis production and consumption in New Mexico hasn't ever been done in relation to Equivalency in Portion and Dosage for the medical cannabis program. HB-155 passed this year in the House of Representatives (Y:41 N:26), only to be left in the Senate Judiciary Committee with no action taken on it when the lawmakers had the time to do so. Representative Armstrong had also tried getting a medical cannabis research bill passed in 2015. The legislation in 2015 even had six additional legislative sponsors, passed two committees and then was intentionally left to die. This is empirical data that has not been collected within the state’s medical cannabis program by the Department of Health. Therefore “adequate supply” can not be properly defined by the department by using unknown variables it has not collected. This further prevents the Department of Health from being able to set a proper plant count for each kind of licensed producer in the program for the means of achieving adequate supply within the medical cannabis program as required by law. Yet we often hear State Government and Lawmakers in New Mexico say how they need to learn more about medical cannabis or that there isn’t enough research for this or that; all the while the Roundhouse has now stopped medical cannabis research twice since 2015. And a patient petition to create program research was not even publically heard by the Medical Cannabis Advisory Board. During the 2017 Regular Legislative Session, state lawmakers made efforts to legislate a number of changes to the state’s Medical Cannabis Program with over 25 different pieces of legislation, one of the bills vetoed by Gov. Susana Martinez, was House Bill-527, on Friday-April 7th 2017 (same day as the medical cannabis advisory board meeting), saying she did so in part because she didn’t want to “eliminate an important responsibility” of the Medical Cannabis Advisory Board. Health Secretary Lynn Gallagher, who has the final word on changes to the state Medical Cannabis Program, hasn’t decided whether to accept new conditions and petitions the board recommended yet. The addition of Patient Run Collectives would help relieve the medical cannabis plant count shortage. Per the Department of Health’s legal counsel’s input, the following petitions numbered 3 and 11 were said that they would require statutory changes or are not covered under the duties of the MCAB and were not discussed at the MCAB meeting. Yet on that same day of this Medical Cannabis Advisory Board Meeting, the Governor of New Mexico said she didn’t want to take away this important responsibility of the MCAB...so according to the Governor these Petitions should have been heard? The addition of this Petition would allow the MCAB to better exercise that important responsibility the Governor spoke of thru increased membership, thus leading to relieving the medical cannabis plant count shortage. Petitions 8,10 and 23 concern the licensed producers and would require statutory changes and are not covered under the duties of the MCAB and will not be discussed. Once again, on that same day of this Medical Cannabis Advisory Board Meeting, the Governor of New Mexico said she didn’t want to take away this important responsibility of the MCAB...so according to the Governor these Petitions should have been heard? Why was there a denial of hearing these petitions that are the “important responsibility” of the Medical Cannabis Advisory Board? All of these petitions provide a solution to the State’s current violation to the LECUA law and items proposed in all of these petitions were also proposed and passed in one or both chambers of the State’s legislature with some dying in committee or being vetoed. The inclusion of this petition would help relieve the medical cannabis plant count shortage. A Policy Solution For The Adequate Supply of Medical Cannabis Plants. The Governor’s Office has highlighted the importance of such priorities like; Ensuring Transparency and Ethics in Government, and Keeping all New Mexicans Safe. In the Roundhouse, one of the state legislators’ primary functions is to represent the people who elect them, but it is by no means their only function. They help to solve the numerous problems of their constituents, they serve on interim committees and they continually study new ideas for legislation. The Department of Health’s mission is to promote health and wellness, improve health outcomes, and assure safety net services for all people in New Mexico. And the purpose of the Lynn and Erin Compassionate Use Act is to allow the beneficial use of medical cannabis in a regulated system for alleviating symptoms caused by debilitating medical conditions and their medical treatments. The State’s Medical Cannabis Program expansion is now “Medically Necessary”; the State needs to allow the Department of Health to open the application process to add more licensed non-profit producers, in conjunction with the addition of patient run collectives and allowing some producers to increase the plants they can grow. The State can allow the Department and Medical Cannabis Advisory Board to exercise that important responsibility they have to all New Mexicans, by opening up and accepting producer applications under newly created rules that would have 3 different licensing options. A Licensed Producer to operate only as a grow facility for distribution to dispensaries. A Licensed Producer to operate only as a dispensary for distribution to patients. A LNPP to operate both as a grow facility and licensed for to operate dispensaries - with a limit of 3 store fronts per this type of license. In addition to reducing current and new licensing fee’s. 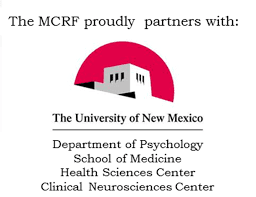 The approval of ALL the recommendations made by the Doctors on the Medical Cannabis Advisory Board, having the Department of Health to open the application process to add more licensed non-profit producers, and increasing the amount of medical cannabis plants a LNPPs and Patients can grow; would all need to be done to bring the State of New Mexico in compliance with the legal intent of the LECUA law and uphold the spirit of the Lynn and Erin Compassionate Use Act, 2007. As we have already saw these same recommendations supported by voters and lawmakers in the state’s legislature. New Mexico’s medical cannabis history started in 1978. After public hearings the legislature enacted H.B. 329, the nation’s first law recognizing the medical value of cannabis...the first law. Americans For Safe Access is proud to announce the 2017 edition of their Medical Cannabis Access in the United States report. 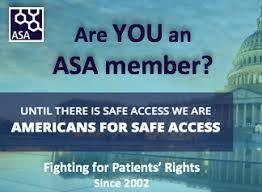 Beginning in 2014 ASA recognized the need to evaluate and compare the myriad of medical cannabis laws across the country. To this end they’ve worked with their members and patients nationwide to develop a grading matrix that would indicate how well a state's laws met the needs of patients. With medical cannabis programs now encompassing 44 states, the District of Columbia and the territories of Puerto Rico and Guam, 300 million Americans (85% of the population) now live in states with medical cannabis laws. This report is intended to help lawmakers and regulators learn from the successes and challenges faced by their peers in other states and get an objective evaluation of their own program. Knowledge can be equated with the contents of consciousness, in the present, future or past. It consists of elements of the phenomenal world and their interrelationships. As such it can be fully described and communicated and also explained within the current scientific paradigm, at least potentially. Awareness, on the other hand, is a label we use to refer to the subjective nature of consciousness. What is called the hard problem of consciousness. The fact that there is something that it is like to be conscious. This aspect of consciousness cannot be explained within the current scientific paradigm, the best that science can do is to assume that it will be fully explained in the future as an illusion of the self-referential information processing in the brain. This is called eliminative materialism. Other people believe that awareness is a fundamental aspect of reality, rather than produced by any process of matter or energy, noting that all phenomena of matter are inferred from conscious experiences. We have all almost certainly heard the phrase "medical cannabis movement," but have you stopped to consider what a movement is? And what it means to be a part of a "grassroots" movement? In terms of community organizing, a movement is simply a group of people who come together consciously, at their own cost, to accomplish a goal. 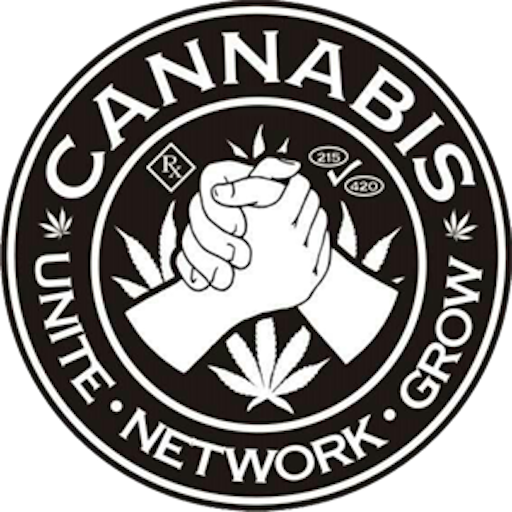 The definition we use at LECUA Patients Coalition Of New Mexico, is that a movement is a group of people who come together to change outdated laws concerning medical cannabis, while providing support for those who are harmed by existing law. Some people say that a movement is not a movement until others outside the group know it exists. This is a good point. The goal of organizing is to change minds and laws, so grassroots movements must reach out to the broader public. But all movements start small and local. As custodians to our grassroots movement, LECUA Patients Coalition Of New Mexico can help provide you with the tools you need to build the powerful grassroots base that will foster real change as our group moves forward. We all have a role in being sure that this grassroots movement grows, stays true to its roots, and acts like a mature social change movement. Dialogue and discussion are necessary and we need to be able to listen non-defensively and communicate respectfully if we are going to achieve the goals we want for our medical cannabis program and future legalization legislation policies. I am committed to listening to your concerns and working to answer your questions. Therefore, the Constituent Services division within my office has been directed to professionally and efficiently assist in answering your questions and responding to your requests of state government. My staff is here to serve you and will do everything they can to address your concerns. Please do not hesitate to call my office at 505-476-2200 to speak with a Constituent Services representative or fill out the form below and we will contact you in a timely manner. Democracy is not a spectator sport. Liberty requires responsibility. Both require your engagement. Your voice matters. Register to vote today! With a government elected by its citizens and that affects every aspect of our lives from schools to health care to homeland security, voting is an important right in our society. By voting, you are making your voice heard and registering your opinion on how you think the government should operate. When more people vote, they increase the chance that the issues that are important to them are taken seriously. To vote in New Mexico, you must be registered at least 28 days prior to the election. Simply pick up a voter registration application form or print the national form online, fill it out, then mail it to the New Mexico Office of the Secretary of State or your local County Clerk's Office.